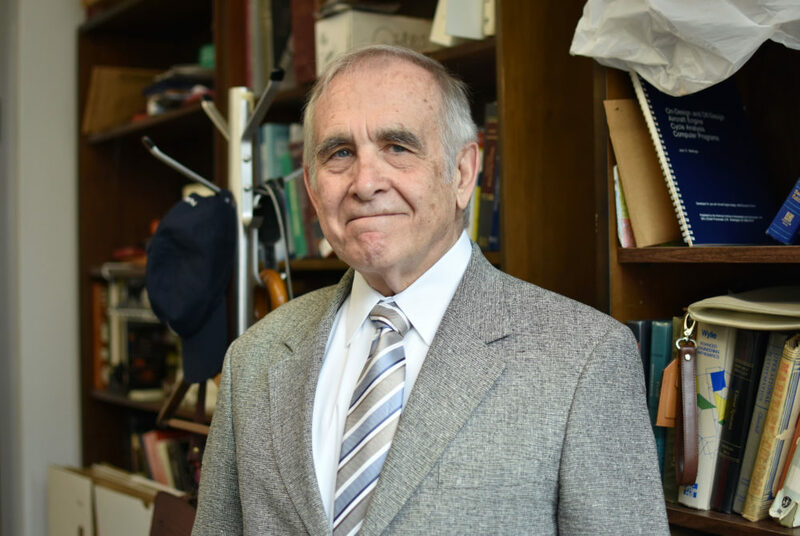 Charles Garris, a professor of mechanical and aerospace engineering, said the new fund gives a wider pool of researchers the opportunity to receive intramural funding from GW. Updated: April 7, 2019 at 2:20 a.m.
Three years after its creation, a cross-disciplinary research fund has distributed more than $1.8 million dollars to researchers. The Cross-Disciplinary Intramural Funding program, which launched in 2016, allows faculty members who are not involved with a research center or institute to apply for research grants. Faculty said the new funding program has encouraged cross-disciplinary research but limits funding available for in-depth research in a single field. “The transition to the Cross-Disciplinary Research Funding program was made to encourage more cross-disciplinary research across campus and in recognition of the fact that not all cross-disciplinary research occurs within existing centers and institutes,” Vice President for Research Robert Miller said in an email. The fund replaced the Centers and Institutes Facilitating Fund, which was renamed in 2016 when it first began awarding grants to researchers who are not involved with a research center or institute. The former fund also supplied awardees with two-year grants to help cover the expenses of research materials like equipment or visiting scholars, but only directors of GW institutes and centers were eligible to apply. The more recent fund allows researchers unaffiliated with an existing research center to apply for the grants as long as their research involves at least two different departments. Miller said that since the new funding program was adopted, the Office of the Vice President for Research has received an average of 60 proposals for funding per year. Miller said officials awarded an average of about $600,000 to grant winners over the past four funding cycles. He said the number of funded projects has not changed significantly since the new program was instituted – an average of 15 to 18 cross-disciplinary research awards are funded each year. “We received an increase in new proposals immediately after the eligibility expansion,” Miller said. He added that the fund is designed to help researchers receive more external funding for their research projects. Researchers provide status updates on the “success” of their projects to track progress before applying for funding, which increases their chances of receiving money, Miller said. He said researchers who receive money through the cross-disciplinary research fund have reported that they obtained more than $15 million in external funding for their projects. Charles Garris, a professor of mechanical and aerospace engineering, said money from the Centers and Institutes Facilitating Fund is allocated to many of the same groups each year, limiting the amount of intramural funding available for other researchers. He said the new fund gives a wider pool of researchers the opportunity to receive intramural funding because they are given money for a few years instead of annually. “When they took that money and started putting it toward this program – it’s like taking money from one good program and putting it into another very good program,” he said. Garris said officials should evaluate the success of the fund by weighing the number of proposals that have received funding and the amount of published work from researchers. He said the metrics indicate that GW has placed highly in national rankings of research institutions. “Many universities are creating programs to force different disciplines to interact with each other, and I think that’s the spirit of this,” Garris said. Harald Griesshammer, an associate professor of theoretical nuclear physics, said faculty in the physics department use the intramural funding as a supplement for federal grants because federal agencies cannot always provide researchers with the total allotment necessary to conduct research. He said in an email that researchers should conduct interdisciplinary research to gain a “fresh perspective” on their topics. But he said the University should also prioritize funding in-depth research within a discipline because a single school, like the Columbian College of Arts and Sciences, can encompass multiple disciplines. Griesshammer added that “strong” interdisciplinary research is only possible if vigorous research is conducted within each field. The Hatchet incorrectly reported that officials awarded about $600,000 to grant winners over the past four funding cycles. They awarded an average of $600,000 each year, totaling about $2 million. The Hatchet also incorrectly reported that the new fund awards grants to researchers from at least two different schools. Researchers must involve at least two different departments. We regret these errors.